Don’t do film reviews. Blah blah blah blah. However, I sat down laste on Saturday to watch this and I could not take my eyes of it. 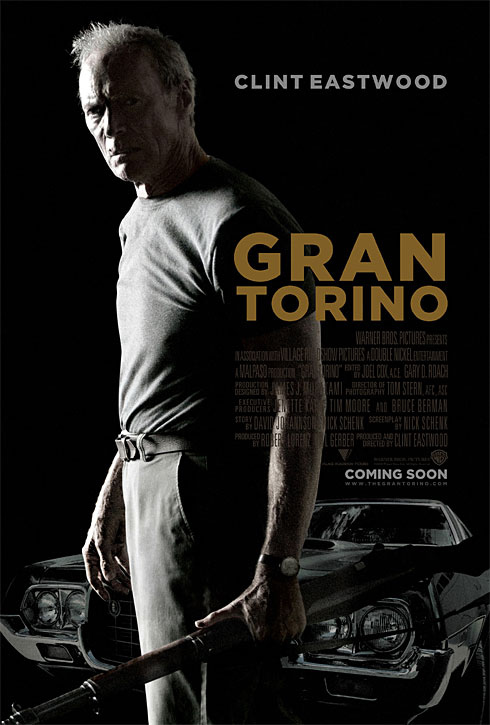 The depth of the acting from Clint Eastwood, the composition of each shot and the plotline were incredible. Normally I will not pay 100% attention to a movie when I watch it on DVD, but this one sucked me into the screen (I have a new Sony screen sucker….it does that to ‘enhance the experience’ and persuade you to shell out more money to ‘get the look’). I felt almost as exhasuted as when I watched ‘There Will Be Blood’ and could not find words to express what I had just seen. Redemption, violence, Christ-parallels, racism, repentance….. I’m running out of themes here…. and like the best films, a feeling that your life has been lit up inside.